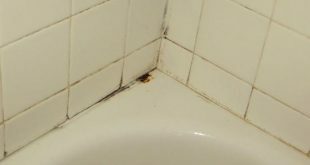 The bathroom is one of the rooms where rigorous hygiene is extremely important, because inside it bacteria grows, which is unsafe to our health. Bacteria and hard water can leave behind infection outbreak and stains difficult to remove. Usually, yellow and brown stains that appear inside the toilet bowl is because mineral deposits caused by hard water and excess bacteria accumulation. Mineral deposits can be very difficult to remove. 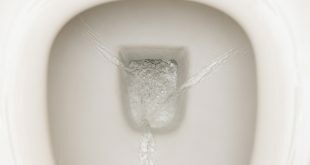 If you appeal to proper sanitation methods, your toilet bowl can regain its initial impeccable appearance. If you are tired of trying to remove toilet bowl deposits using strong abrasive substances, which leaves scratches behind them, you can always try a natural solution for cleaning: vinegar. One method might be sprinkling approximately 750 ml of vinegar in the toilet bowl and brushing and scrubbing the toilet stains. You can leave the solution to act more for an even more pronounced effect. 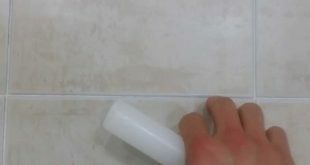 Another method is pouring vinegar in a spray, draining the water from the toilet bowl and applying the vinegar directly on the stain. Again, let it act for a longer period in case the accumulated debris layer is thick. Bleach will prove highly effective in removing stubborn stains in the toilet, being a very powerful cleaning agent. Add about 125 g of powdered bleach in the toilet bowl and let it act for a few hours. 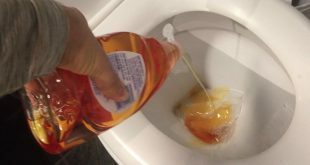 When you notice that the toilet bowl stains are gone, you can flush and remove the bleach. Another effective cleaning agent is borax powder. 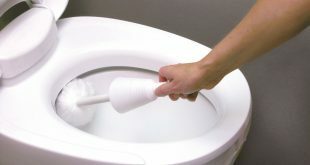 Remove water from the toilet bowl, sprinkle borax powder and rub the stained surfaces with a toilet brush. Next, let the borax powder to act 30 minutes and, finally, refuel the toilet tank and flush. Repeat the process if the stain has not disappeared completely. Just like powdered borax, you can’t find trisodium phosphate in any store. However, once you’ve purchased it, this substance will prove its effectiveness. Add a tablespoon of trisodium phosphate to about 4 liters of warm water and mix well. 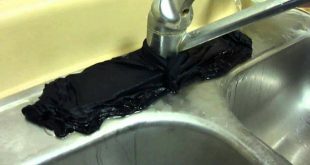 Soak a cloth in the obtained solution and use it to rub stubborn stains inside the toilet bowl.